In many ways, Moot’s music defies categorization,not surprising, given his background. Born and raised in New Jersey, Moot grew up listening to the current popular music he heard on the streets of his hometown, Trenton. Summers spent visiting his grandparents in West Virginia, however, exposed him to a wide array of classic country artists like Johnny Cash, George Jones, and Hank, Sr. 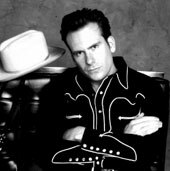 The combination of his northern upbringing and the deep influences of his family’s southern heritage helped Moot develop a unique sound which can only be defined as “honky-tonk” – “roots” tunes with a distinct edge and attitude. At an early age, Moot displayed an interest in both music and acting. After high school, he did stints as a laborer and pool builder while focusing his efforts on his musical career, eventually moving to New York City. Moot was soon heard by Fred Boenig who ran WDVR-FM, a local radio station out of Sergeantsville , NJ . Boenig also helped Moot record his first real demo. In 2001 Moot moved to Nashville to pursue his career. There, he continued honing his own brand of contemporary roots music and started sending out demos. Eventually, one of his recordings landed in the lap of Little Dog Records. 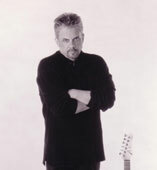 multi-platinum, Grammy Award-winning producer Pete Anderson. The result is a tight ten-song album consisting entirely of Davis-penned tunes. Under the direction of Anderson, the music jumps out of the speakers, presenting Moot’s classic honky-tonk fare with an in-your-face honesty that let’s the listener know this is the real thing. His record has landed on a variety of critics’ Top Ten list and he was recently named Honky-Tonk Artist of the Year by “True West” magazine. Moot’s music was also featured in the critically acclaimed feature film “Crash,” starring Sandra Bullock, Ludacris, Brendan Fraser, Don Cheadle, and Matt Dillon. In support of the record, Moot has been appearing on the road with his band The Cool Deal, playing nearly 200 dates a year – a performance schedule that has been dubbed, “The Tour That Never Ends.” Moot has received continuing critical acclaim for his live shows, which feature Pete Anderson as band leader/guitarist. And Davis shows no signs of slowing down. He has begun work on his follow-up album while maintaining a cross country tour schedule that would give Greyhound a run for their money. Whether your tastes run toward country, blues, honky-tonk or even live jam band mania, Moot Davis offers an alternative to bland music-by-the-numbers. If you can listen to Moot Davis and not move your feet, check your pulse – you may be dead. The term “legend” is too often bandied about when talking about musical artists. While he might dispute that categorization, Pete Anderson is one of the rare musicians to which that term aptly applies. After more than 30 years in the music business and countless hit records as a producer, guitarist, and songwriter, Anderson has earned a place among many of the significant figures who have influenced popular music. Born in Detroit, Anderson was exposed at a young age to country and western music that his father would listen to. However, his life was forever changed when he saw Elvis Presley perform on television. A young man with a guitar swinging from his neck shaking up the status quo through rock and roll was a powerful image. At eight years old, Anderson, still under the “influence” of Elvis, decided that he wanted to play guitar. At 16, Anderson took his own money and bought a guitar and a Bob Dylan songbook and started working on music seriously. Anderson continued to hone his craft by playing with a wide range of bands that included everything from rock to “jug” music. However, it was the blues that really became his driving inspiration. In Los Angeles in the early 70s. Anderson, became a tue-blues and rock player of some skill, quickly made a name for himself in the local music arena, while also studying at the newly-launched – and now world renowned -- Guitar Institute of Technology. In the early 80s, Anderson was introduced by a mutual friend to Dwight Yoakam, who needed a substitute guitar player for a club gig, Yoakam called Anderson. The two hit it off and starting working together. Borrowing money from a variety of sources, the two managed to record an EP of Dwight’s music (which would later become the basis for the multi-platinum “Guitars and Cadillacs” album). At the same time, Yoakam, powered by the musical direction and fiery guitar playing of Anderson, quickly become a favorite of the alt-country/cow-punk crowd. With the growing popularity of Yoakam, it was becoming apparent that a large part of his sound and “vibe” was a result of Anderson’s musical taste and vision. In the mid-80s, Anderson decided to showcase the new country music that was coming out of Los Angeles and co-produced the compilation “A Town South of Bakersfield,” a landmark album which included the first recordings from such acclaimed artists as Yoakam, Lucinda Williams, Jim Lauderdale, and Rosie Flores. In 1985, Yoakam was signed to Warner Bros. Records -- marking the beginning of a partnership that would span 20 years and include a multitude of awards and honors, resulting in the sales of millions of albums worldwide (all produced by Anderson).